An $8.3 billion Medicare demonstration project the Centers for Medicare and Medicaid Services runs was faulted by government auditors for its large size and a design that might hamper conclusive results, prompting a key congressional overseer to blast it as an attempt by the Obama administration to curry favor with voters. 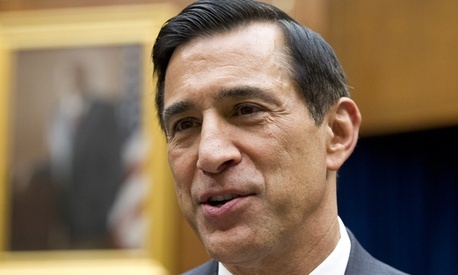 Rep. Darrell Issa, R-Calif., chairman of the House Oversight and Government Reform Committee, called a Wednesday hearing to explore whether the Health and Human Services Department’s three-year demonstration project to give bonuses to private health plans that upgrade patient services was “designed to offset Obamacare’s massive cuts to Medicare Advantage ahead of an election.” This could be a case of the Democrats “playing politics with seniors’ health care,” Issa said. Jonathan Blum, acting principal deputy administrator and director of the CMS Center for Medicare, defended the demonstration as an important means for rapidly improving the efficiency and quality of health plans. He disputed suggestions from the Government Accountability Office that the program might be illegal. In implementing the 2010 Affordable Care Act, CMS has been reducing federal subsidies to Medicare Advantage, or the Part C program, for approved private health plans, now used by some 28 percent of seniors, or 13 million people. The redirected funds are being used in part to experiment with a “quality bonus payment” pilot program that rewards private health plans that expand benefits in such areas as wellness and customer service and thereby raise their CMS rating to one of the top two on a five-star quality system. “To date, there are very positive signs it is working while changing the business model with which plans interact with Medicare Advantage,” Blum said. The bonuses allow plans to invest in new infrastructure that helps create more of the top-rated plans that currently aren’t available in all counties, he said. He told the panel the $8.3 billion 10-year project was the largest of its kind he’d ever encountered, calling it seven times bigger than the next largest. Edda Emmanuelli-Perez , GAO’s managing associate general counsel, raised doubts as to whether HHS had legal authority to launch the program under the relevant section of the1967 Social Security Amendments, saying it was hard to know because the case law and legislative history are “virtually nonexistent.” Earlier this month she wrote HHS Secretary Kathleen Sebelius a letter to that effect, but she has not received a reply. In March, GAO had recommended HHS cancel the demonstration and use the Affordable Care Act to design a better program. Republicans for two years have been attacking Democrats politically for redirecting funds from the Medicare Advantage program. Rep. Scott DesJarlais, R-Tenn., who is a physician, called the CMS project “a gamble with $8.3 billion in taxpayer money” that suddenly brings in a “large group of mediocre plans” into an experiment just prior to an election. He referred to the 13 million beneficiaries in the Advantage program as “voters” before correcting himself. Blum said HHS had reviewed GAO’s objections to the program, including consulting the department’s general counsel, and that the program was “designed by career civil servants.” HHS determined the secretary has broad authority under the 1967 law to conduct such a demonstration.